Here, we assess Williams' chances of bouncing back this year. Last season was a dismal one for Williams, as they finished 10th in the constructors' championship, kept off the bottom only by the former Force India team, who were stripped of all their points. Lance Stroll and Sergey Sirotkin combined for only three top-10 finishes across the 21 races, with two of those coming at the same race, in Italy. The team finished third in the constructors' championship in their first season using Mercedes power in 2014 but have suffered a year-on-year decline ever since. Williams ended the last campaign with seven points - their worst tally since 2013. This season marks an emotional return to F1 for Kubica, who last lined up on the grid in 2010. The Polish driver suffered a partial amputation of his forearm in a rally crash ahead of the 2011 F1 season, but successful surgery enabled him to make an unlikely return to motorsport. 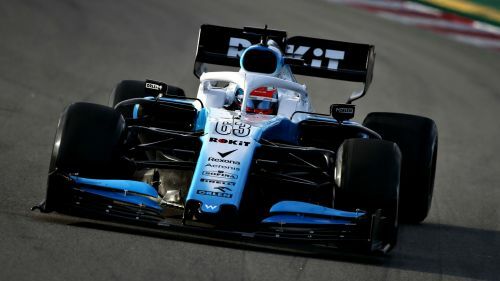 Kubica's determination to make his F1 comeback saw him recruited as a test driver by Williams last year, missing out on the race seat to Sirotkin, but he is now ready to repay the team's faith after being handed a senior drive. Williams have a reputation for identifying promising British talent, with Jenson Button, Damon Hill and David Coulthard all having spent time with the team early in their F1 careers. Russell won Formula 2 last year and will hope to follow in the footsteps of his illustrious predecessors. Having an experienced team-mate like Kubica should help the 21-year-old find his feet in his rookie campaign. - This already feels like it could be a year of damage limitation for Williams, after arriving late for pre-season testing and struggling to get anywhere near the pace. Being race-ready for the opener in Melbourne seems like a good place to start. - In Kubica's case, he needs to show that his selection goes beyond sentiment, and that he can still be competitive. Anything above the bottom of the constructors' standings will be a bonus for Williams, whose closest challengers in 2018, Toro Rosso, scored almost five times as many points. A return to the Williams glory days looks unlikely any time soon.